This post brought to you by Campbell’s Slow Cooker Sauces. 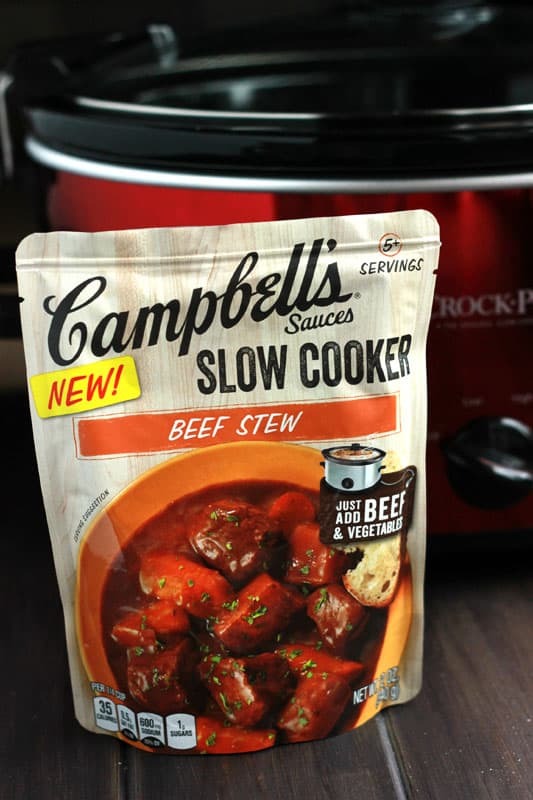 The content and opinions expressed below are that of One Sweet Appetite.I have loved trying out the new Campbell’s Sauces over the last few weeks and this Slow Cooked Beef Stew might have just stolen the number one spot in our favorites! It is COLD here in Utah. 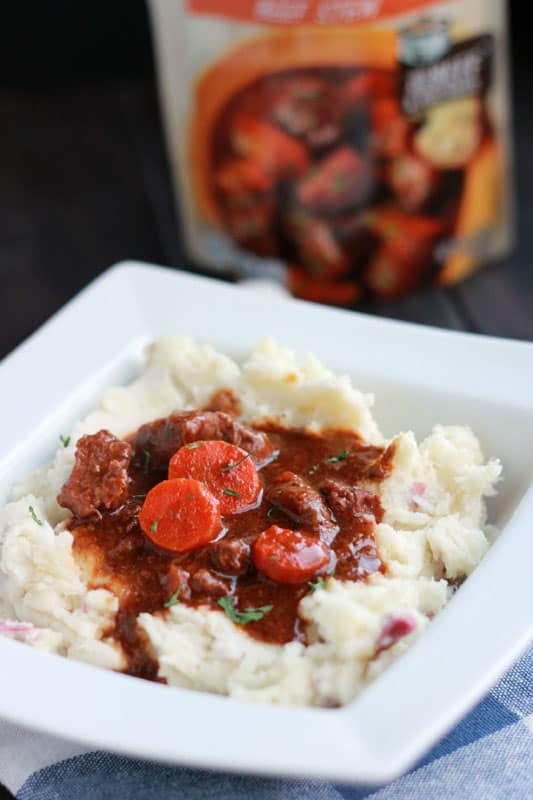 The plan, and only thing on my mind, are comfort foods which means that I reached for the Beef Stew.I love that these sauces are easy to use, whether for an every day meal or game day get-together. There aren’t too many ingredients and with the use of a slow cooker your prep time is minimal. The most time consuming part of the meal was the potatoes, but this would have been delicious without that addition. For this particular meal we went with the Beef Stew version but love all six of the other varieties as well. Make sure you take a look at the Tavern Style Pot Roast, Apple Bourbon Pulled Pork, Southern BBQ, and Sweet Hawaiian Pork. We plan to keep one on the menu at least once a month. Especially with Halloween this weekend. How easy is it going to be to fill our bellies with a slow cooker recipe just before hitting the doors? I like that my little guy will be full which means less of a craving for all of those sweets (or maybe that’s a little wishful thinking on my part)! 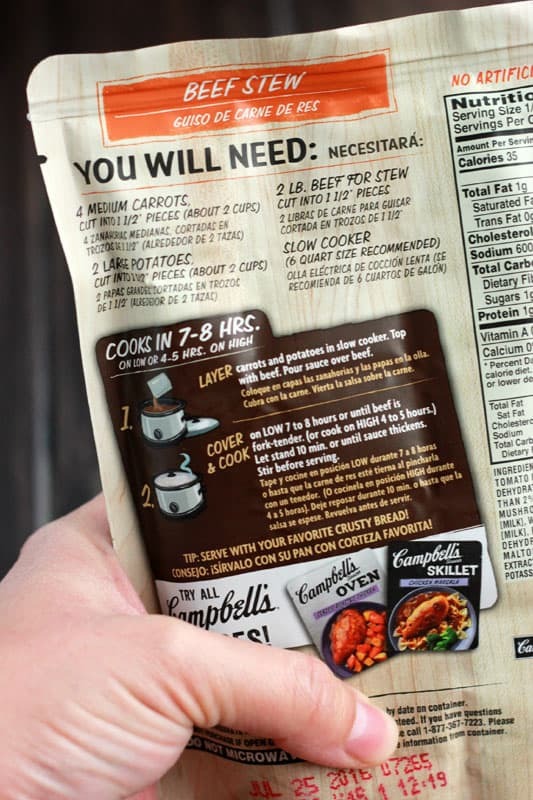 Campbell’s sauces are a great way to serve up a great every day meal that is impressively delicious, especially since it took as little as FIVE minutes to plan! 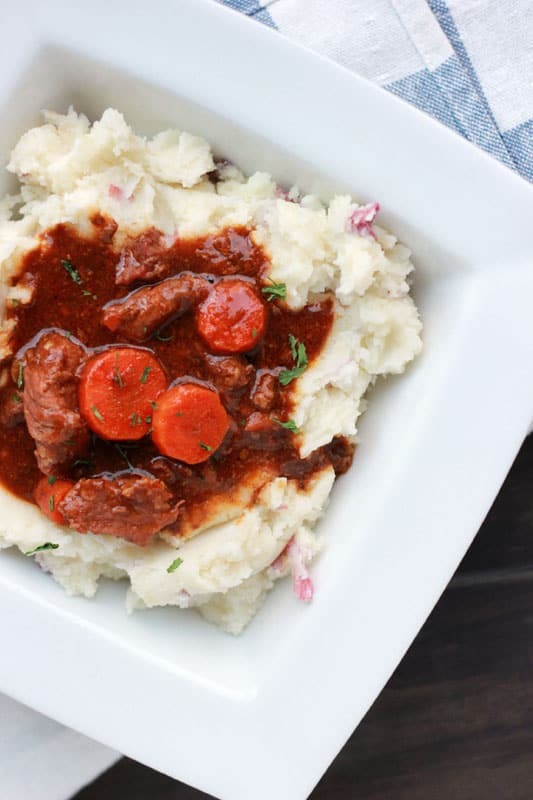 Place the beef stew in your slow cooker. Stir the sauce and carrots. Cook on low 7-8 hours or until the meat is tender. About 30 minutes before your stew is done cooking stir in the mushrooms. 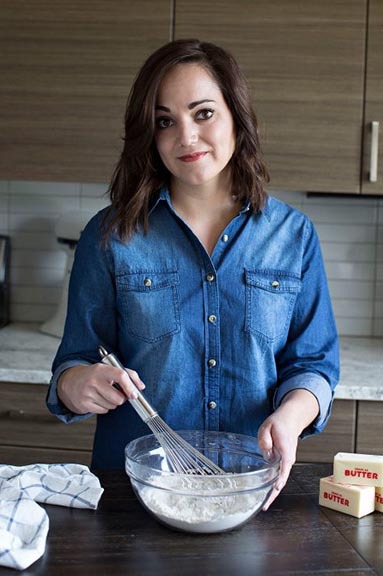 Serve over mashed potatoes.